Want to learn more about dance? Not sure what it’s all about? Or already a big fan, seeking to expand your knowledge? Why not check out DanceHouse’s programs designed to enhance your experience of Kidd Pivot’s The Tempest Replica, (photo below by Jorg Baumann) at the Playhouse November 9 & 10. 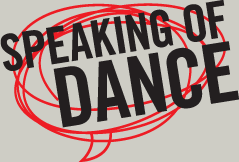 Attend our free Speaking of Dance interactive talk and learn more about Crystal Pite and Kidd Pivot. Dance critic and writer Deborah Myers explores Crystal’s role in Vancouver’s contemporary dance scene and internationally, and examines her influences–and in turn, her influence of others. Please note: There is an 8pm French-language performance of Robert Lepage’s The Far Side of the Moon at 8pm. It should be completely possible to attend both events, but please leave yourself enough time to park and make your way through the inevitable lobby throng. Already have tickets to The Tempest Replica? Kidd Pivot Artistic Director and Choreographer Crystal Pite joins Deborah Meyers for a pre-show talk at 7:15 in the Playhouse’s upper lobby. Attending the Saturday night performance? Join DanceHouse founding producer Barb Clausen for Critical Response, a guided discussion of the show you’ve just experienced. Meet in Salon A of the Playhouse following Saturday’s performance. Just like to party? Join us after the curtain falls on Saturday evening at Wild Rice, 117 West Pender Street, for drinks, dinner, or snacks. Who knows? Perhaps the company will join us. ~ by DanceHouse on October 30, 2012.